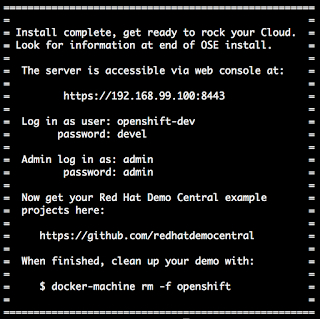 Eric D. Schabell: Cloud Happiness - OpenShift Container Platform install on Windows, why wait? 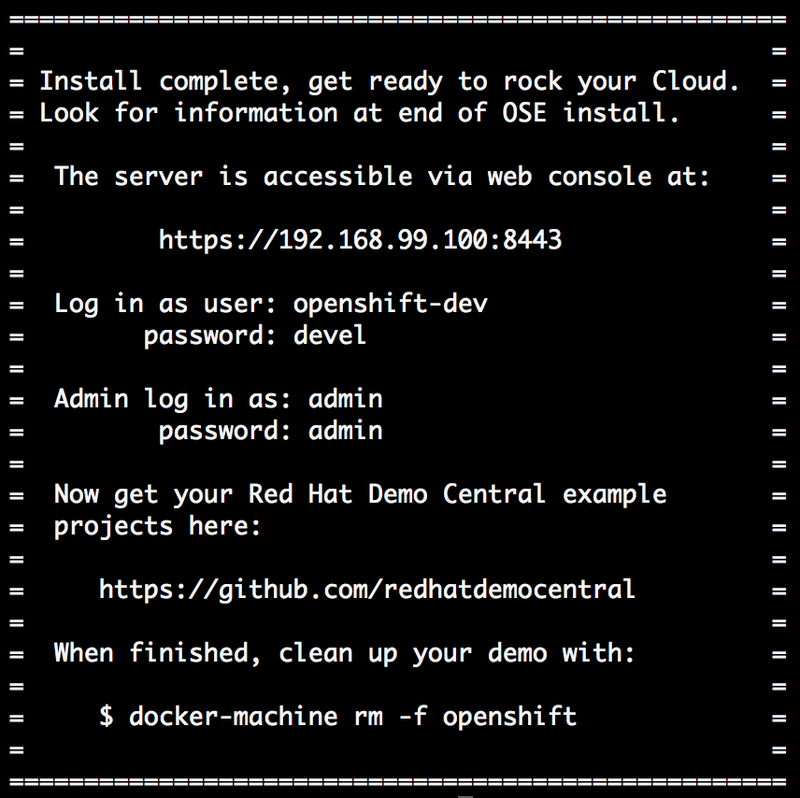 Cloud Happiness - OpenShift Container Platform install on Windows, why wait? Last week you learned how to go from no Cloud to fully Cloud enabled with a container based application development platform in just over two minutes. This week you can add Windows to the platforms that can be used to install this easy, 2 minute OpenShift Container Platform with fully enabled xPaaS capabilities! Figure 1. Final installation details given. Also note, that if you have run this installation before, it's setup to always give you a clean running installation by fixing anything that is left running or blocking an installation. Not intervention needed by you. I then make sure your OCP has the latest greatest JBoss middleware streams loaded and update the RHEL 7 streams. The final console output will give you the address that was dynamically created (in my case it shows https://192.168.99.100:8443), as shown in figure 1. You just need to paste it into your browser and you can log in with any of the given users. Figure 2. 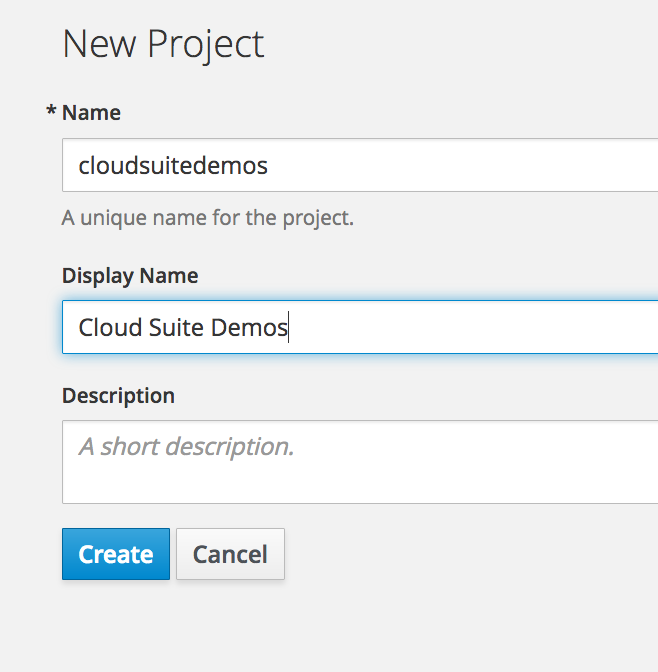 Fill in a new project form as desired. 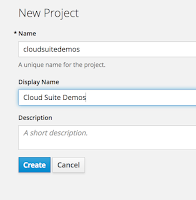 You can fill in the form shown in figure 2 any way you like, but I chose to line it up as the project that will soon host all my Red Hat Cloud demo projects.